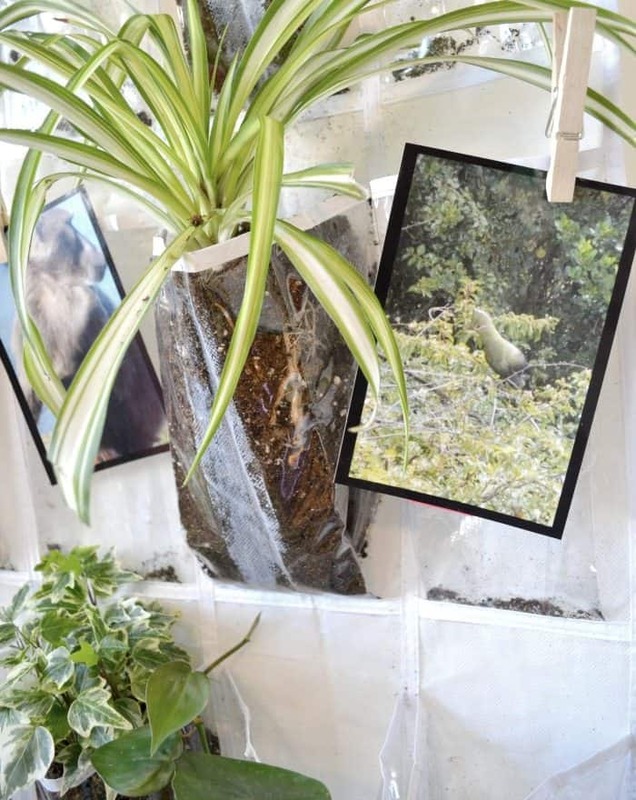 This project is a fabulous way to get air-purifying plants into a small space without taking up valuable real estate. 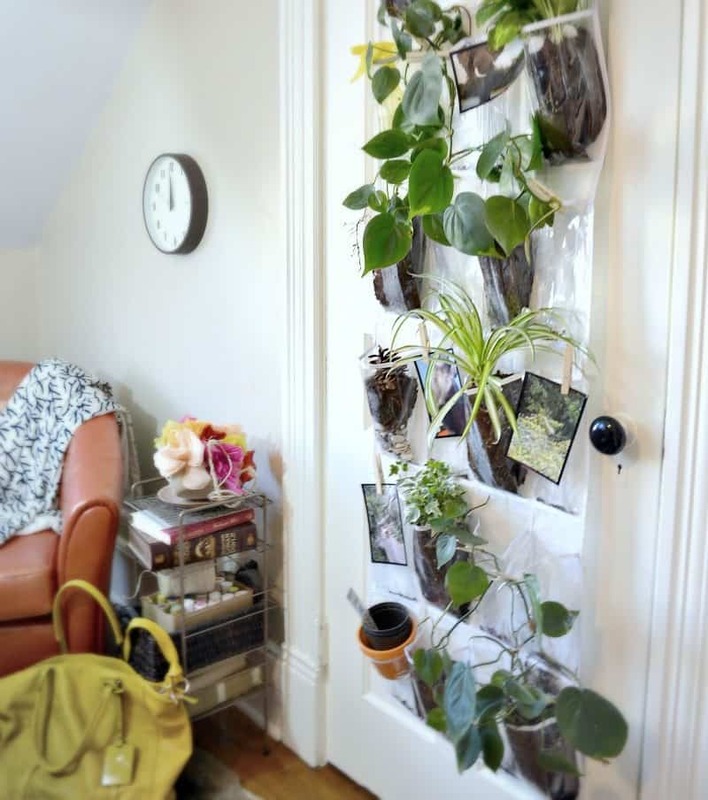 Using a vertical shoe organizer allows you to get a whole heap of fabulous greenery in your home in a very compact way. 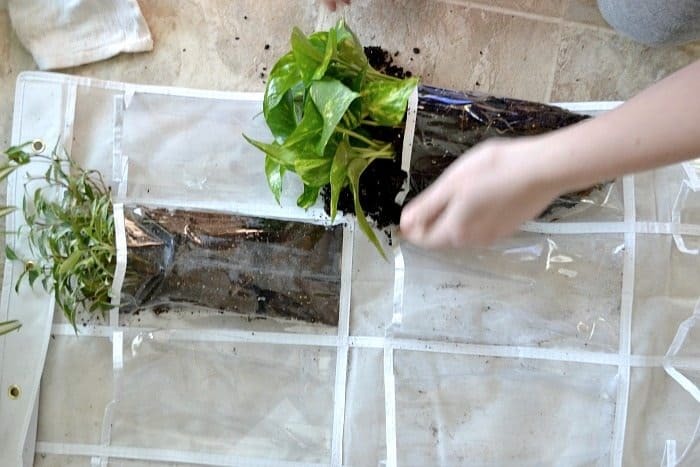 Use this idea for a kitchen herb garden, a little girl’s flower garden, or your favorite house plants. The sky is the limit! 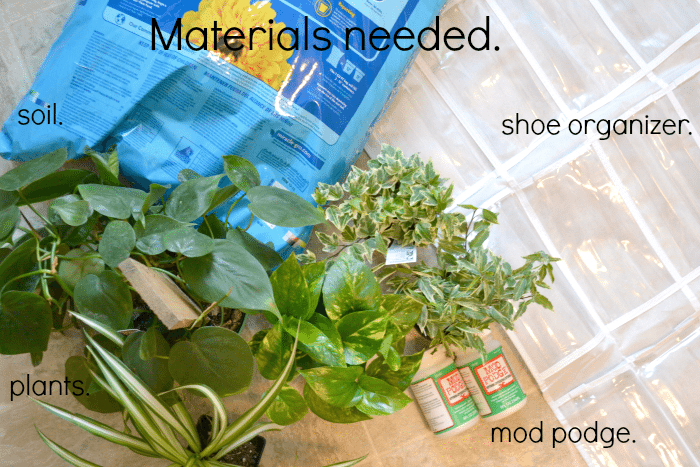 The first thing you need to do is make your organizer water tight so that you won’t have drips of water all over your floor everytime you water your plants. We covered the back of our organizer in multiple layers of outdoor ModPodge to make it watertight. Using clear shipping tape would be another great option. Either way, you want to be sure that your organizer won’t seep water. Vacuum your mess, hang your new hanger on the door, and clip photo’s to it (if you so choose!). Now, if you use a vine you can use clothes pins to help that vine “climb” your shoe hanger. Isn’t this a charming and useful way to brighten up a small space! I plan on adding another of these to my bathroom, really soon.